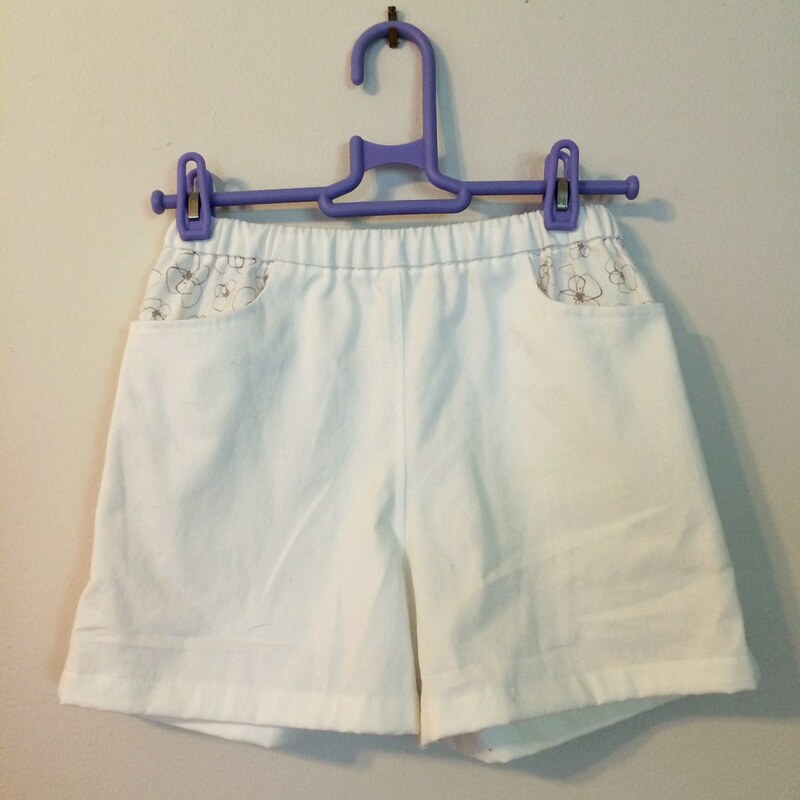 I have made several more shorts for my older child. I've been considering why I do this, it's not either political or a sacrifice for love. Though it is rewarding to make things that the child will wear - I did spend rather long making adorable things that stayed dormant in closets before realizing one has to cater to the interests of the recipient. I have to admit, I enjoy it. I don't tend to do things I don't enjoy. Now I stick to fabrics and patterns I'm pretty sure are acceptable, like these oxford shorts. It's maybe part necessity, it's hard to find things that match up to my exacting standards for clothing without spending a lot of time on it (I mean, the last time I went to the mall to get clothes for a girl, I left without buying a thing because it was either horrible - glitter and cropped and, well, trashy or synthetic), as well as the child's preferences. Sometimes that overlap is tiny. And it's partly that I enjoy shopping for fabric more than I enjoy shopping for clothing. Also, when I make things I get to control, well, everything. Using fabric the child selected! (This is based on the shaping of the Oliver and S sailboat skirt, and the front is faced in a similar manner as that skirt. The back is the Sailboat back exactly as written in the pattern.) 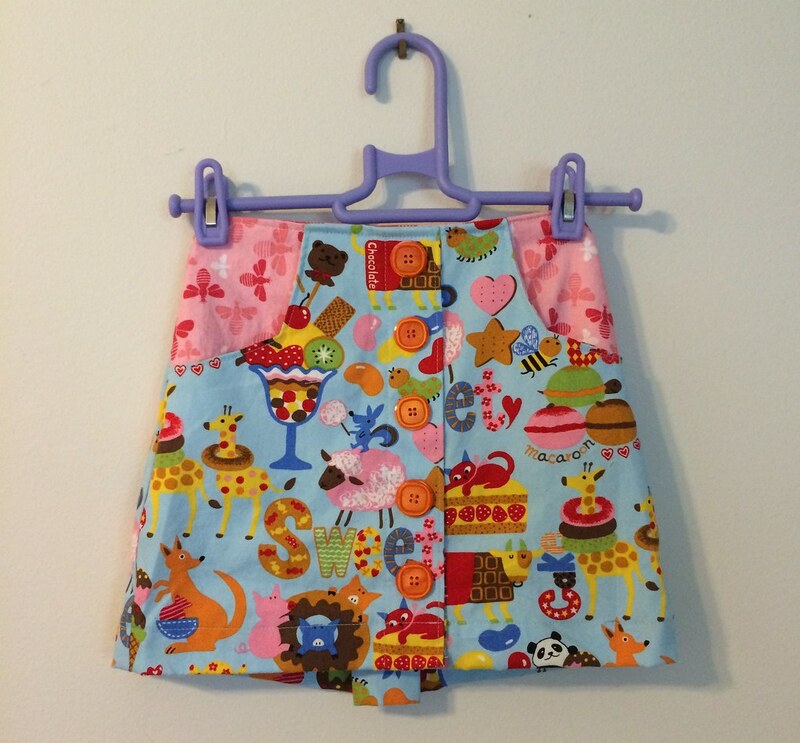 The buttons are, as with the last version of this skirt I made, not functional. 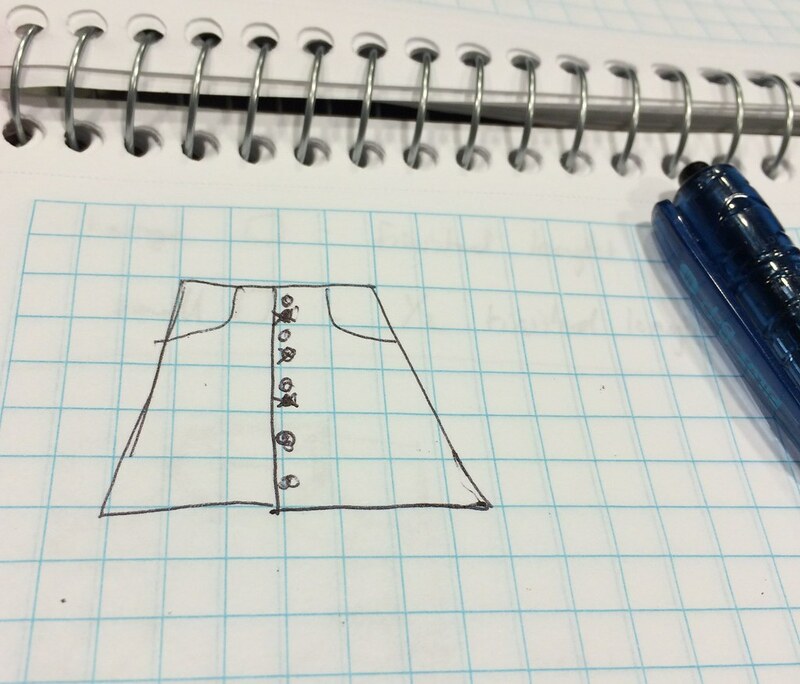 And I'm also fiddling with pocket shape! 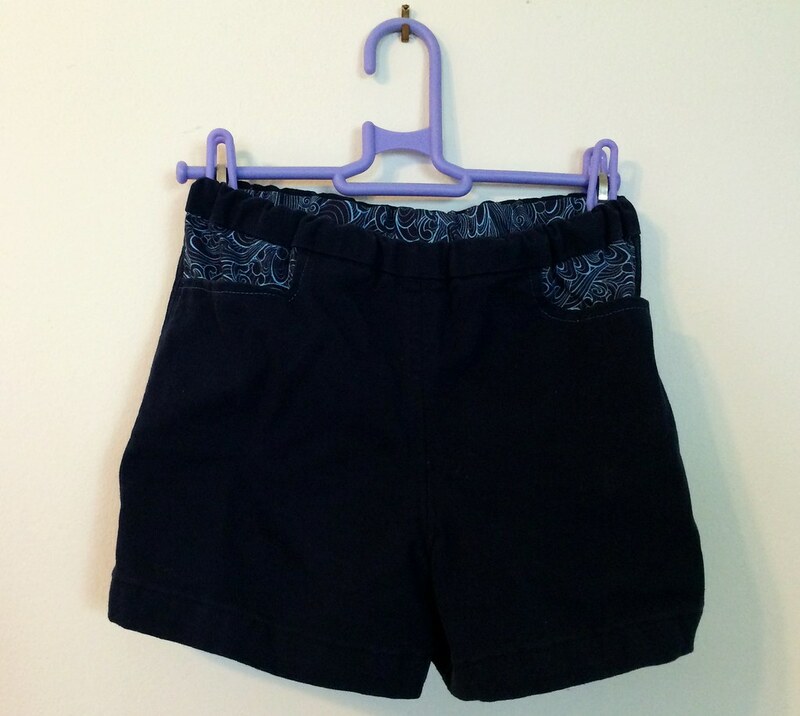 This new wave of shorts have a much more subtle pocket shape than last year's versions. It's maybe not super exciting to anyone else, but these nuances and challenges keep it fun for me. Or if some event the child is involved in requires clothes which may not be worn again, I can make shorts using 3/4 of a yard of $10/yard twills and create clothes that are comfortable, 100% cotton, well made (seam finished within an inch of their lives), and relatively inexpensive (though one does have to put time into it). With a personal touch of designer fabric that I love. Also, it's just fun. And unlike quilts, they are relatively quick to come together. Which is a reward in itself. 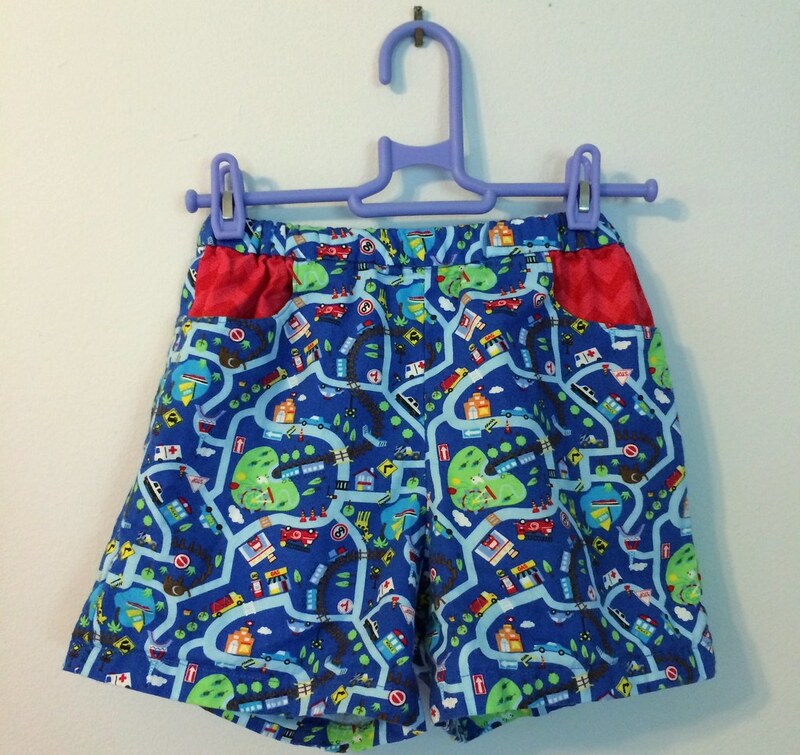 And I have a few more new shorts planned. As well as dresses. Fabric is washing now!